Tyler Housing playground will bring a lot of joy to this community. 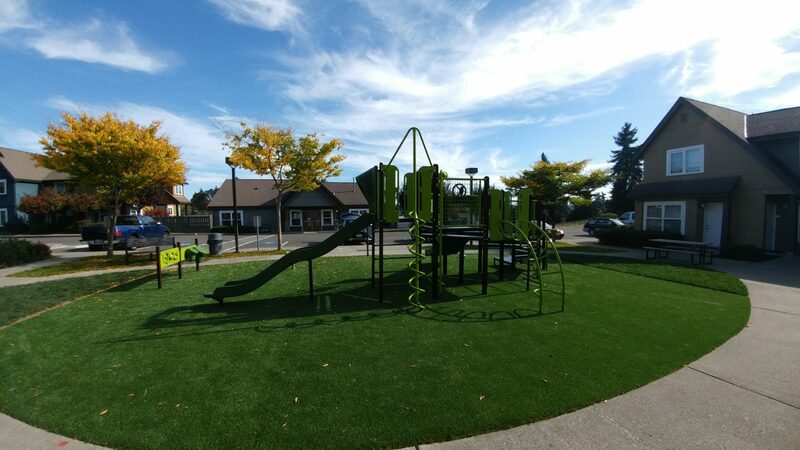 A beautiful site with playground grass surfacing and a simple playground that offers a lot of play value. Highlighting the playground is two slides, a Corkscrew Climber, Talk Tubes and more. In addition, the play area includes freestanding sensory Panels and a Saddle Spinner. In conclusion, this structure will make a lasting impact for the community.